On January 23, 2019, Loyalist staff, faculty and students are invited to donate new pairs of socks from noon – 1 p.m. in exchange for free spa vouchers. The event is being organized by the Esthetics and Spa Management students and promoted by the post-graduate Public Relations & Event Management students. 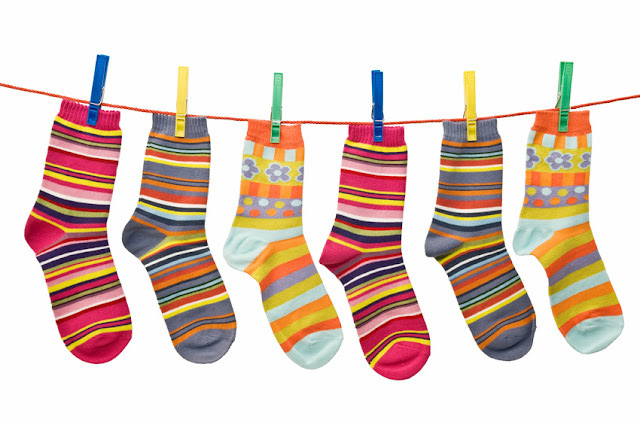 All socks collected will be donated to homeless shelters. 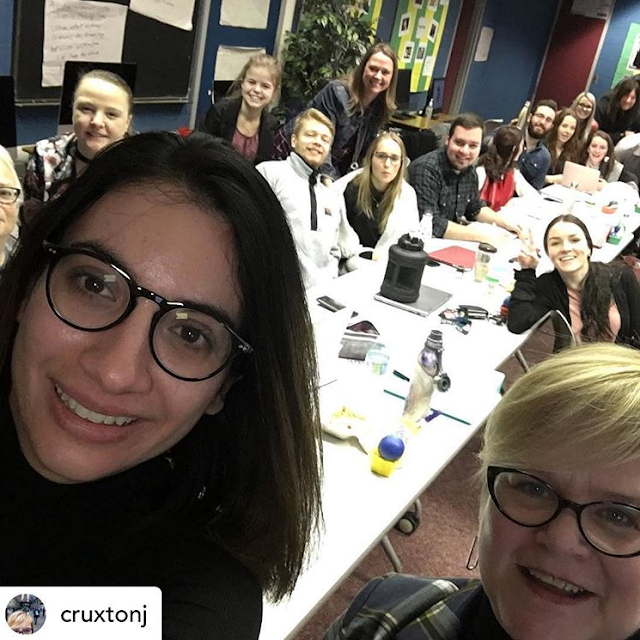 “This is a wonderful opportunity for Loyalist College Spa Therapists to support the local homeless community,” says Bridget Ferguson, professor and coordinator of the Loyalist College Esthetics and Spa Management. “Foot care is one of the main skills sets Spa therapists learn, and their education enables them to understand the need for preventing foot diseases”. As an incentive for sock donors, the Spa at Loyalist College will provide vouchers for a complimentary nail polish change or eyebrow wax redeemable at The Spa. 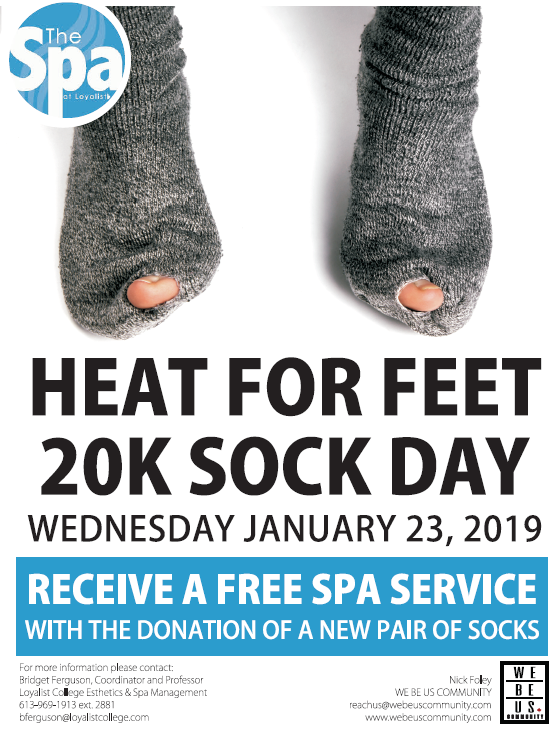 For those unable to drop off socks at Heat for Feet, the Spa will continue to accept donations until Friday January 25th. Heat for Feet is being held as a part of 20K Sock Day organized by WE BE US. With over 200,000 Canadians who experience homelessness every year, the event will support those in need. With the goal of collecting 20,000 socks for the 20K Sock Day, the initiative supports shelters both locally and nationally. 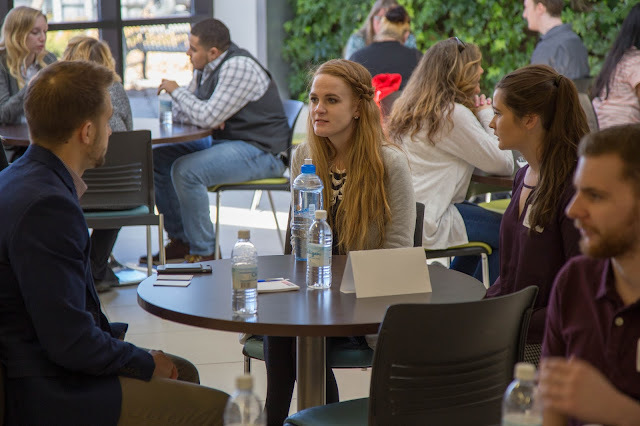 “I honestly believe that if we all work together, we can have a major impact and help many people,” says Foley.